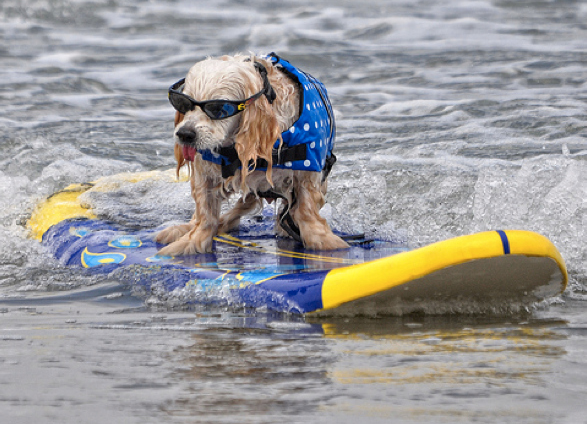 Many dogs enjoy catching a wave as much as their people do. Here are a few tips for a happy canine surfin’ safari: Some dogs, especially those with lighter skin, are vulnerable to sunburn. Consider buying dog-specific sun protection. Keep your dog away from dead fish. Ingesting them can make dogs sick. Then, pick a dog-friendly beach and enjoy. « Get 10% off Alpha Dog Beds!